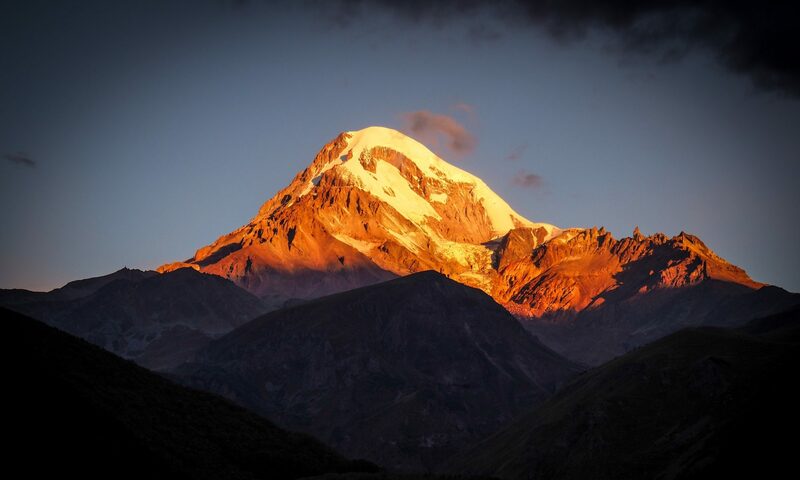 The registration for the second edition of the Ojos Negros Tango Weekend in Kazbegi, Georgia starts on the March 20, 2019. Registration is only possible via filling up the registration form, which you can find on our webpage. Any registration in other form (like e-mail and/or facebook) will not be accepted. In case of any problems, please send us an e-mail on tango@ojosnegros-georgia.com. We accept single and couple registrations. The number of participants is unfortunately limited, and we can only accept certain amount of applicants. In case you would like to register as a couple, both partners should submit the registration form. Moreover, as a couple registration, you have a priority and will automatically be accepted for the event (after the payment is completed) until the available capacity is reached. Besides, to make your tango experience unforgettable and enjoyable, we will try to maintain gender-balance (follower-leader balance) and will create a mixture of dancers from various communities as well as various dancing levels. At this point, we have the right to choose participants for the Ojos Negros Tango Weekend 2019. You will be informed whether you have been accepted for the Ojos Negros Tango Weekend 2019 via e-mail within 5-10 days after you submit the registration form. If accepted, your e-mail will contain payment details as well. If you do not receive any e-mail informing your status of the registration within next 10 days, please write us an email on tango@ojosnegros-georgia.com. The registration fee is 115 EUR per person (early bird until 30th of April) and 125 after the early bird phase. It includes the full pass on the Ojos Negros Tango Weekend Milongas (from Friday evening till Sunday evening), Friday, Saturday and Sunday buffet dinner, afternoon snacks, coffee/tea and water. No accommodation, no extra food and beverages as well as no additional costs incurred by the Ojos Negros Tango Weekend 2019 participants are included in the registration fee. Organisers are not liable for any costs, expenses and other damages incurred by you in relation to the Ojos Negros Tango Weekend 2019 (e.g. Do not book your accommodation prior to the final conformation e-mail). The payment can be made via bank transfer or payed in cash. You are accepted only after we receive your full payment (and the payment of your partner, in case you register as a couple) within the period given in the acceptance e-mail (see section 3). We will send you a confirmation e-mail with the receipt of your payment. In case you made the payment and did not get a confirmation email, please contact us by above-mentioned email address. If the registration fee is not paid fully on time, the organisers of the Ojos Negros Tango Weekend 2019 have the right to cancel your registration without any prior notice. Please note that it is responsibility of each participant to check his/her inbox systematically (including spam/bulk folder) in order to receive an email with all payment details. In case you cancel your registration for any reason, no refund is possible. However, replacement of another person is possible until August 20th, 2019. Either you know the person who can participate in the event instead of you, or we can help you to find a person from the waiting list. In this case, you are responsible for arranging all the settlements between you and the person who replaces you. In case the Ojos Negros Tango Weekend 2019 is cancelled, all money will be returned to the participants. We reserve the right to change the program of the Ojos Negros Tango Weekend 2019. All updates will be published on the website. The organisers and hosts of the Ojos Negros Tango Weekend 2019 are not responsible for any losses or damages incurred during the event. Taking pictures and filming during the Ojos Negros Tango Weekend 2019 is possible only after prior arrangements with the organisers. The organisers are not accountable for any claims from the participants against persons filming and taking pictures during the event. published, performed, actuated and played in all venues, including ones with admission fees, in such a way that anyone can have access to them at any time and place (especially on computer networks, Internet, Intranet as well as mobile networks, Facebook, fan-pages and YouTube channels of the organisers and official photographers/filmmakers). copied and digitalised on electronic carriers. The consent only applies to a non-commercial use of pictures and films. Personal data obtained during our registration process remains confidential and shall not be revealed to any third parties. Your name and email address will be added to our address book. If you don’t want to receive information about events we organise, please send us an email entitled “NO.” All data shall be then erased. The organisers reserve the right to deny entry into any event of the Ojos Negros Tango Weekend 2019 without any prior notice or reason, to those persons under the influence of drugs or alcohol or any other controlled substances, those persons behaving violently, dressed non properly, etc.